Our earliest photos of generation facilities. 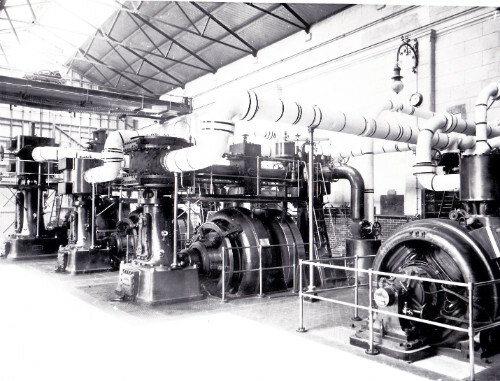 SWEHS 17.0.013.jpg – Date 1892 – First 3kW alternators at St James Street generating station. BTH flat wound rotor, 2.2kV 30amp. Compound wound alternators 133 Hz, 1140rpm. Somerset, Taunton Note unguarded belts and slight changes in control gear to that shown in 17.0.011..
SWEHS 15.0.017.jpg – Date c1900 – Prince Rock Electricity Works (generating station). Devon, Plymouth See ‘Electrical Engineer’ 28/07/1899. 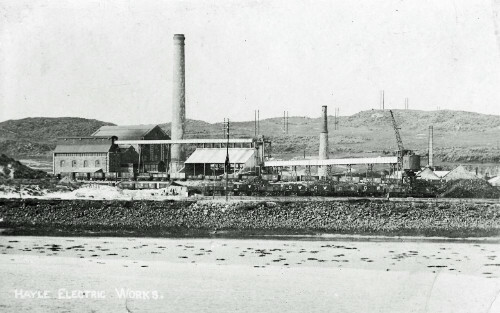 SWEHS 15.0.041.jpg – Date 1900 – Devonport Corporation Electricity Works, Newport Street generating station. Devon, Devonport . 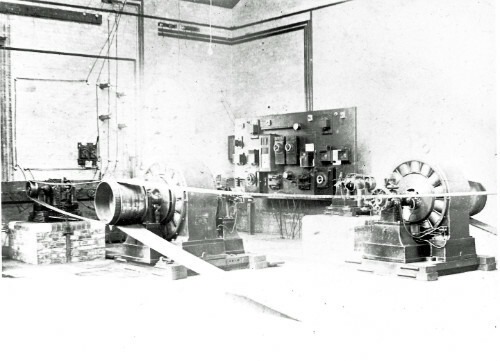 SWEHS 15.0.042.jpg – Date 1900 – Devonport Corporation Electricity Works, Newport Street generating station. 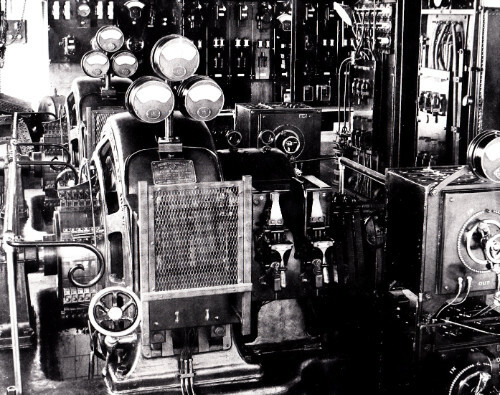 Switchboards for lighting and traction. Devon, Devonport . 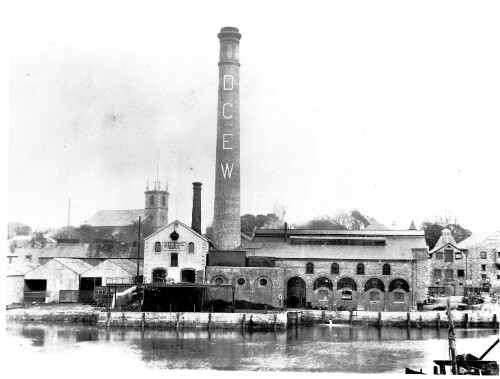 SWEHS 20.0.001.jpg – Date c1900 – Weston Super Mare Electric Supply Company works from opposite side of Bristol – Weston railway. 480, 550volt direct current steam engine. Commenced supply 1901 owned by BET Co. Ltd. North Somerset, Weston, Locking Road . 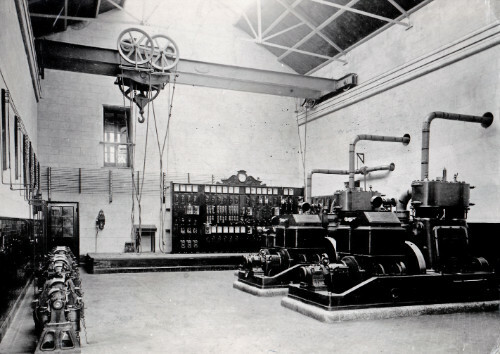 SWEHS 3.1.021.jpg – Date 1902 – Central Electricity Lighting Station. 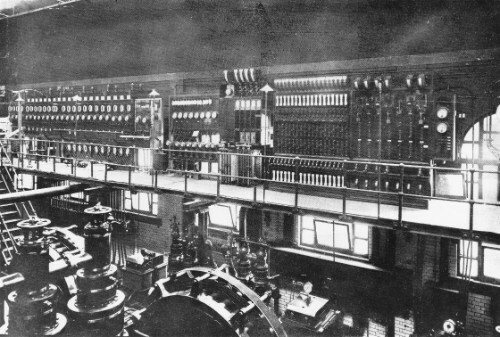 Bristol, Temple Back Engine room and switchboards..
SWEHS 3.1.079.jpg – Date 19/02/1902 – Inauguration of Avonbank Electricity Works booklet – aerial photo of Avonbank Bristol, Avonbank . 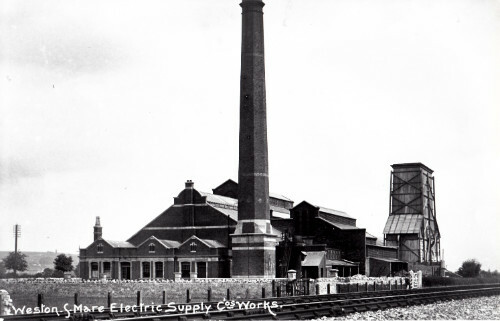 SWEHS 3.2.208.jpg – Date 1902 – Avonbank Generating Station, Feeder Road. Bristol, St. Phillips The generating station was orginally called ‘Avonbank’ but was renamed in 1916 as Feeder Road Electricity Works to avoid confusion with ‘Avonmouth’. Many rail deliveries had previously been delivered to the wrong address..
SWEHS 3.3.235.jpg – Date 1902 – Avonbank Electricity Works steam alternator and power sets, Feeder Road. Bristol, St. Phillips The generating station was orginally called ‘Avonbank’ but was renamed in 1916 as Feeder Road Electricity Works to avoid confusion with ‘Avonmouth’. Many rail deliveries had previously been delivered to the wrong address..
SWEHS 15.0.034.jpg – Date c1902 – Devonport Corporation Electricity Works, Newport Street generating station. Commenced supply 1902 direct current generation. 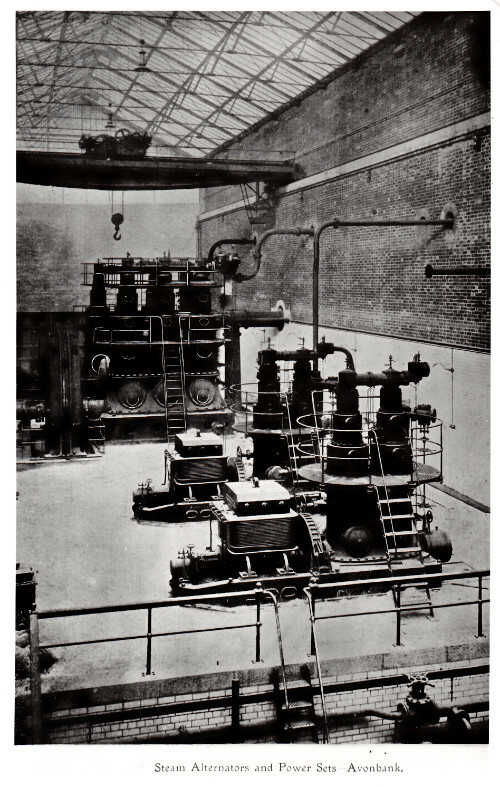 Closed 1929 and used as a substation for converting ac from Prince Rock into direct current for lighting. Devon, Devonport, Stonehouse . 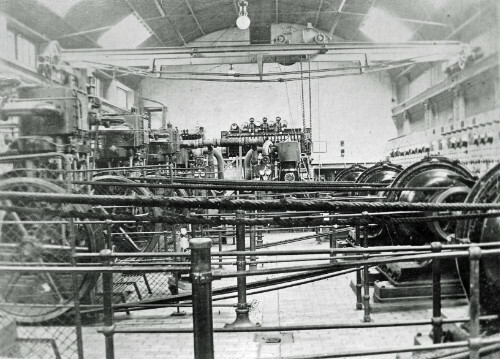 SWEHS 7.1.066.jpg – Date 1902 – Carn Brea engine room in 1902 when supply was commenced. The two Belliss & Morcom 90kW sets conceal most of the 45kW set. The balancers and boosters are on the left and the Hayle telephone is between the door and low voltage board. Cornwall, Carn Brea Station initially operated by Urban Electric Supply Company and then taken over by Cornwall Electric Power Company (Edmundsons) in 1906. 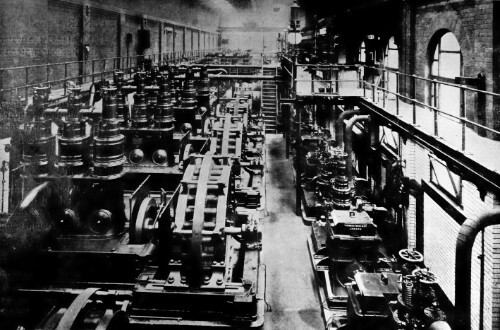 Ceased generation 1911 when rotary converters installed for the trams..
SWEHS 5.2.005.jpg – Date 1905 – Dorchester Street Generating Station, Churchill Bridge. 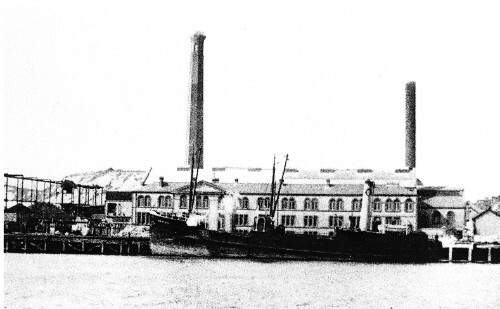 Commenced supply 1890. Bath and North East Somerset, Bath, City . 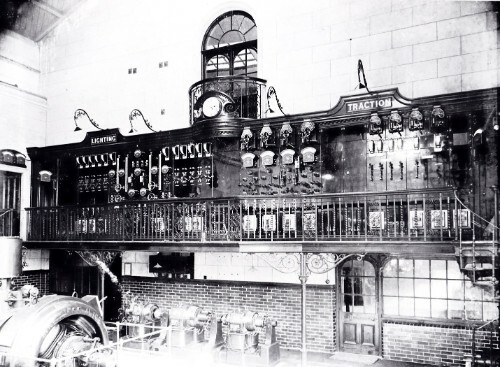 SWEHS 3.1.011.jpg – Date 1910 – Central Electricity Lighting Station engine room. Bristol, Temple Back From Bristol Corporation Elecltricity Department Booklet 1902..
SWEHS 7.1.131.jpg – Date 1911 – ‘Hayle Electric Works’ soon after completion of stage 1. Cornwall, Hayle . 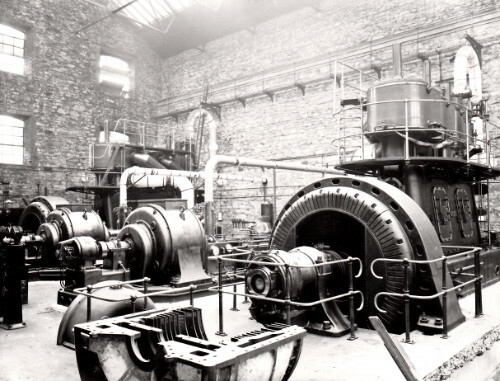 SWEHS 7.0.022.jpg – Date 1913 – Hayle Power Station generator. Cornwall, Hayle . SWEHS 7.1.055.jpg – Date 1913 – Holman’s No 1 substation latterly connected by three cables to Camborne LV network, to ease voltage drop beyond Tyack’s Hotel, till then supplied from Carn Brea LV board, 1700 yards. Cornwall, Camborne .